Soon I have the opportunity to interview for a position that I am really excited for. I have the pants, I have the blouse, and I am pretty sure that I know how I will wear my hair. The one thing that I can't decide on is the shoes! The shoes seem to be more of a commitment to me. If I do get the position I will have to wear them often. They need to be very comfortable flats that I can run errands in if necessary. If I don't get the position, I don't want to be stuck with something that I just won't wear because I don't like them and I don't want to spend more than $75. 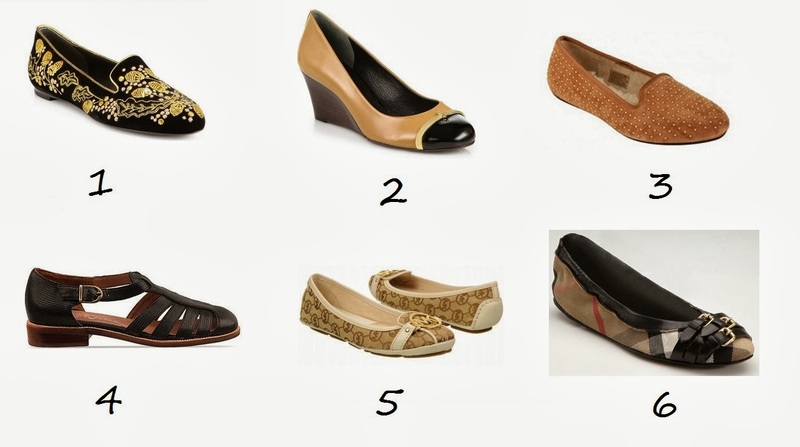 I have found some cute pumps but heels are not an option for me unless they are really low. I am 5' 5" so not really tall and not really short but almost everyone over here wears slippers (aka flip flops) and I don't want to appear too intimidating or flashy. 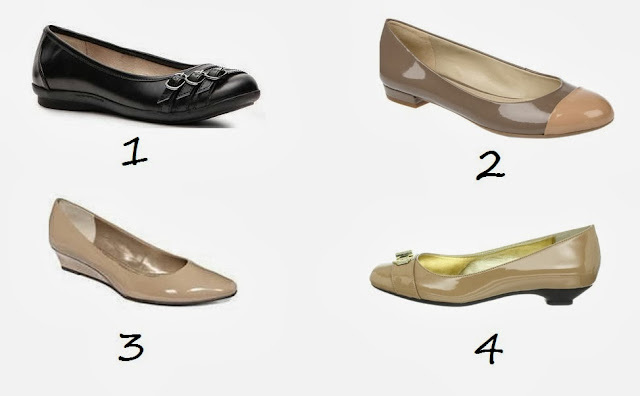 Unfortunately I have had a really hard time finding cute, comfortable flats. I don't know if it's just me but I have had many painful pairs of flats, some cheap and some expensive, that hurt my feet more than heels. All of those are out. Also, I don't want anything too flashy or embellished because I want to seem professional. At the same time I'd still like something that makes me feel put together and confident. Also, I don't like mary janes for work. They used to be my favorite shoes ever but now I feel like they make me look too childish, like a rag doll. Those little string bows on ballet flats make me feel the same way. Could I be more particular? Any opinions or advice would be greatly appreciated. ***UPDATE: I ended up buying the Adrienne Vittadini flats but they were too big so in a pinch I had to use my Doc Marten Ellen flats that I already had. I haven't worn them in over a year because they used to bother my feet since the leather was so stiff. I think they may have softened a little since cuz they weren't too bad. I may actually wear them more often now! I like the ones with the black buckles the best, but I'm not the best at this sort of thing. They look the most like your wish ones, I think. Best of luck! Thanks MR, I appreciate the luck :). I think the buckle pair may be the most comfortable too because they look less stiff. I like beige but black is more traditional. the jeffrey campbell sandals and Ugg flats are our favourites. definitely go for something comfortable (and of course cute)- your feet will be thanking you by the end of te day! goodluck on your shoe quest:) we would love to see what pair of shoes you end up wearing to the interview. The Jeffrey Campbell Pike sandals are my favorites. I ordered the Adrienne Vittadini wedges but I am still on the lookout for something like the Pike, all the places I've found that ship to the US have sold out!